A pilot programme to teach lifesaving CPR to year nine and ten students is being piloted today at Christchurch Boys' High School. The St John Ambulance service believes the skills should be taught at schools nationwide. In the countdown to 2017, Wellington Free Ambulance paramedics and 111 communication centre staff are gearing up for a big night. Northland Police continue to investigate the death of a 37-year-old man who was dropped off in a critical condition outside the St Johns Ambulance Station early yesterday morning. 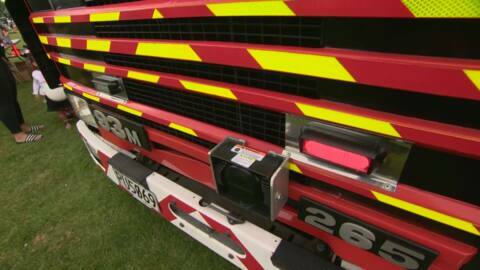 The cause of an Ambulance crashing into a power pole in the Moerewa area is being investigated by Police. Police are treating an incident at Taradale Primary School as an accident. Sam Kuha says his recent ordeal with the ambulance service is just one of an increasing number of 'very lucky' stories highlighting the inadequacies of the sole-operator ambulance service in rural NZ.